It was a weird day that day on the 4th of February. I was boarding the Austrian Airlines plane for Vienna and I felt I was boarding a plane that was going to take me far away from the warmth of the bosom of my hometown, my home, my friends and relatives to foreign and forsaken lands. 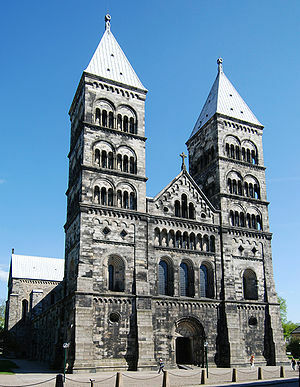 My destination was Lund, Sweden. After landing at Vienna I was to take a flight to Copenhagen and then get to the port, board a ship to Sweden and then get to Lund. Even today, such an itinerary seems complex. Imagine how difficult it was to arrange more than 15 years ago such a trip when there was not even a smell – a scent – of the internet as we know it today. The flight to Vienna was a great one. Few passengers were on the plane, the food was nice and the Austrian Airlines air-stewardesses (which I still consider possibly one the three best crews of all airlines), which on a relatively empty flight seemed to take up a more friendly and “dress down” style, offered me plenty of wine, smiles and chat. After a while I relaxed on my seat and I remember I just could not take my eyes out of the window. It was a great night with clear skies both towards space and towards the earth’s surface. I took a look for the first time in my life from an altitude of 33K feet at Central Europe where people like us in the South of Europe lived. My field of vision was filled with myriad small lights that were visible from the air-plane. Big cities, small villages, remote houses in the middle of vastly light-empty lands, roads, lights in the middle of nowhere and highways – everything was a great feast for the eye and for the mind. The funny thing is that although the view itself did not offer any exhilarating messages to the mind, it was the mind and its flaming up of what might be down there that set fire to my imagination. Who lives down there? What do they look like? What type of house do they have? What habits do they have and do they put much salt in their food? Do they rinse their hands after they use the toilet? How do they socialise? What food do they like? This was the first time that the notion of being beamed down to an arbitrary house and chat with that family flashed through my mind. It would be a thrilling experience to just sample a random Central European family. It seemed like what we have to day with “zoom in-zoom out” in GoogleMaps. Honestly, I started asking myself myriads of questions of how it was to live in Central Europe, an area that only in books of wars or history was presented to me until that time. When we reached Austrian FIR rain started to fall on the plane’s fuselage. We landed, we taxied for some time that seemed to me like a century and then I decided to get more… intimate with Vienna airport. After spending almost two hours walking idly around, I boarded the flight to Copenhagen. I think I was the only non-blonde guy entering the plane which picture reminded me again my destination. The barbarous Kingdom in the North Lands of Sweden! The flight was a very bumpy one, I could listen the wind pounding the airplane in the cold and … inhospitable airspace of Germany and this very fact even made it more difficult for me to let go of my thoughts about my destination – when I was not thinking of the possibility of our plane sinking somewhere in the Northern seas or being blown to the ground. Where the hell was I going? Did I really need these 6 months of Erasmus studies in Sweden? What was wrong with staying and appreciating the soon-to-come spring around the Med? There was no turning back though! We landed at Copenhagen airport with a 45 minute delay and I had few time to think. It seemed I had missed the main connection to the port and I had to find another way to get there. It was around 11 and the whole area outside was deserted so I thought that the probability of sleeping in Copenhagen was not such a distant one. Luckily, somebody from Skopje informed me about a bus that would arrive in ten minutes and that could take me to the port. It happened like that, although once inside the bus I started worrying about making it on time to the port! The bus stopped by the port and i think I walked just 100 meters before getting the ticket and boarding the boat to Malmo. I don’t remember anything else from that trip apart from the thing that I was so tired that from time to time I was resting my head on the window glass, getting some glimpses of the rough Northern Seas. It was after 1 am when I reached Malmo… and I still had not reached my destination. As I just could not bother with public transportation – but at that time of the day I don’t think the public transportation could neither bother with me – I picked the first taxi I found and announced my destination. Cold and wind gave their place to snow. English and German gave their place to Swedish. All the ground around us was covered in thin snow. Lund looked and was a deserted city. From the point we entered the city until we reached the train station there was nobody in the streets. 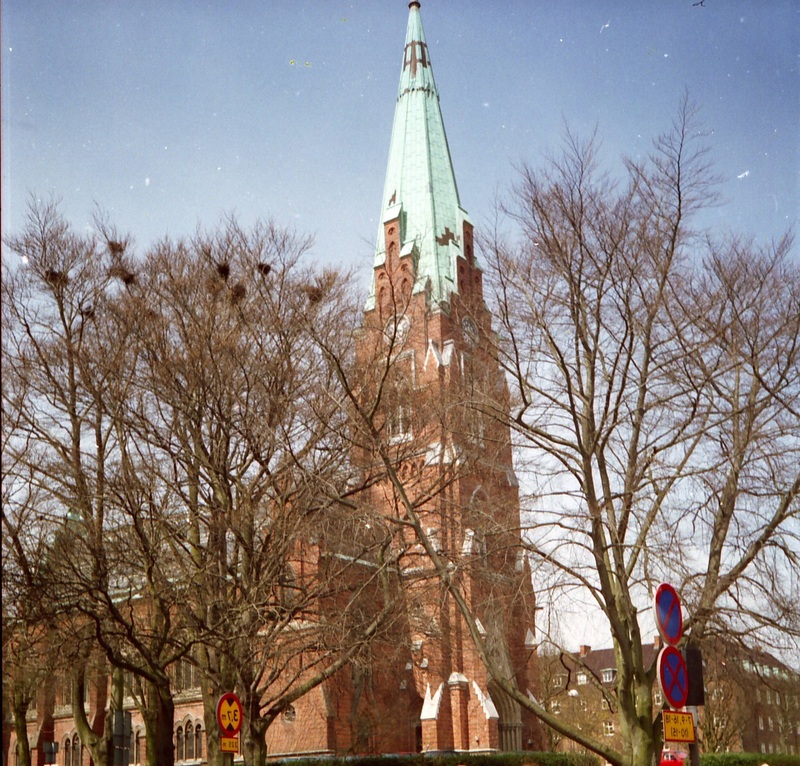 The taxi driver was driving cautiously and it was another chance to marvel the whole scene and appreciate more – and firm much more in my memory – my first time in Lund. Around the train station the snow looked fresh. No single footstep, cat-step, dog-step or any kind step could be seen anywhere! When outside the taxi I realised that I had finally made it. After using three of the most famous means of transportation – the train is the fourth one – (airplane, car, ship) and after half a day of travelling over most of central Europe I had finally made it. After almost 6 months of searching and investigating, what started as a joke and an informal discussion during the day of elections at University, had actually materialised as a trip and came to be one of the best – if not the best – experiences in my life. I was probably 3 hours late from an … informal appointment I had set with two of my mentors three weeks before my scheduled arrival in Lund through the first … scent of the internet – my first email address. Still, who would be waiting for a late-to-his-rendezvous spoiled Mediterranean guy at 2 am in snowy Lund? Who? None and especially not those inhospitable and barbarous .. Northerners. Well, just as I was getting ready to take out my notes to find I don’t remember what, I made out in the mist two figures coming out from the train under passage that called my name. For a fraction of a second I questioned myself how do people in these lands know my name. Well, unexpectedly those … northerners (my stay in Lund did actually change my view about Swedish people) had actually waited for me for almost 3 hours, offered to give me a ride to my student hall and handed me the keys of my room. 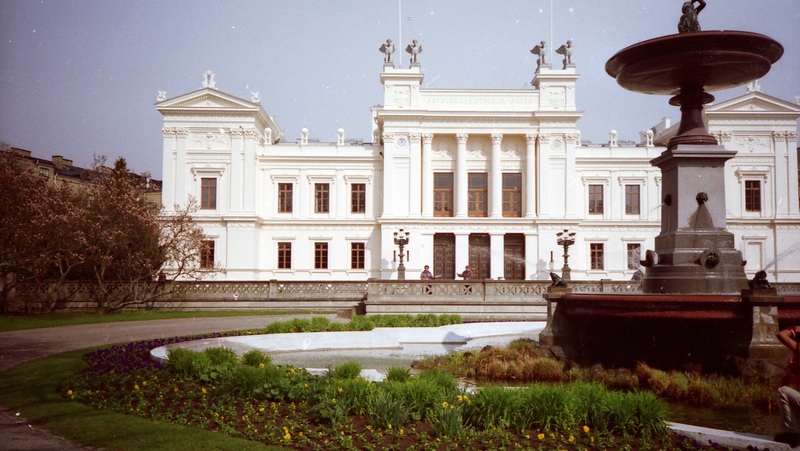 Before going to bed, I spent 10 minutes of recollections trying to re-capture what I had lived and guess how the first official day in Lund – the next day – was going to be. That night was the start of my marvellous and beautiful and exciting 6 months in Lund Sweden. Even today when I speak or think about thmy stay in Lund I feel almost the same feelings of that day and the first night.